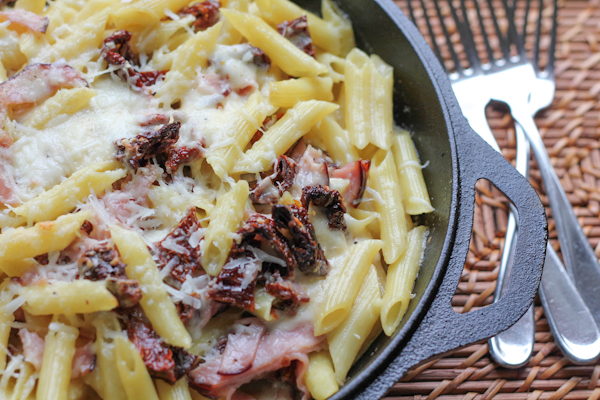 Penne with Goat Cheese, Ham and Sun Dried Tomatoes from Melt! Mac n cheese. The ultimate comfort food. Many of us grew up eating mac and cheese. Mac and cheese brings back a lot of happy memories to this, used to be, very chubby kid. It really was comfort food for me. I’ve written a few cookbook reviews now and this one is a special one. 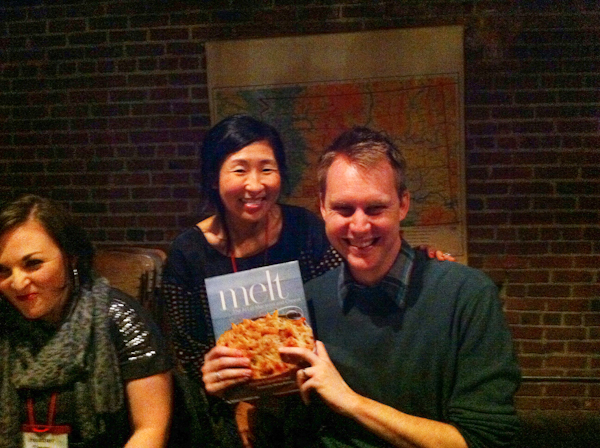 Melt is special, not only because this is a superb and innovative cookbook and focuses on one of my favorite foods – but also because I got to meet Garrett McCord, one of the authors. We met at IFBC and Garrett was in my group one night for dinner at Sitka and Spruce. We were talking and he mentions he had finished a cookbook and it was going to be released soon. . I ask which one and he replies, “It’s Melt.” I had just received an email the day before asking me to select the next cookbook I was going to review and I chose Melt. 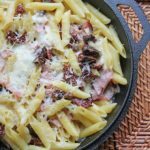 If you are a mac and cheese lover or just a cheese enthusiast in general, you will love this cookbook. It not only covers the basics on cheese and pasta (cheese production terminology, how to purchase cheese, storing cheese and more) and how cheese is made but it also opens your eyes to new types of cheese (cow, sheep and goat’s milk) because, hey, we all need to venture out beyond cheddar and mozzarella. 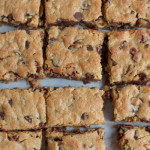 Obviously, you are going to get delicious recipes from this cookbook. But these are recipes pairing ingredients you would never have thought of before. Recipes like Humboldt Fog with Grilled Peaches and Orzo, Drunken Goat with Edamame, Fennel and Rotini, Savory Sheep’s Milk Ricotta with Raspberries and Capellini and Baked Camembert with Pears and Shell Pasta. And there’s more than just baked pasta. In Melt, you will also find wonderful, fresh and innovative pasta recipes like: Paneer, Pineapple and Cucumber Pasta Salad, Yodeling Goat with Golden Beets and Orecchiette and Chocolate Pasta with Bucherondin, Hazelnuts and Cherries. I’m telling you. This cookbook rocks. When it came down to choosing a recipe to highlight for you today, the decision was a hard one. At the time, I was in Minneapolis staying with my sister so she played a part in the decision making process. 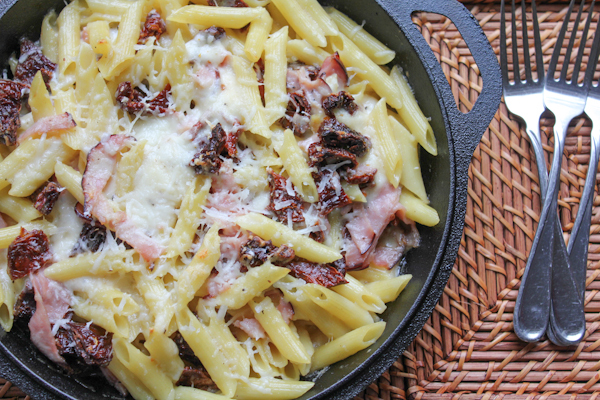 After about 10 minutes of, “OH make that one!” or “Oh my gawd, that looks amazing!” – we mutually decided to make the Penne with Garrotxa, Serrano Ham and Sun-Dried Tomatoes. Loaded with a Spanish goat cheese, this dish does not disappoint. The ham and the sun-dried tomatoes, “two other signature Spanish ingredients” add just the right flavor and texture. This was really delicious. 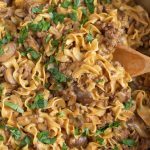 I was going to change it up just a bit and add some dijon mustard into the cream sauce but I decided to stay true to the recipe and followed it exactly. I’m so glad I did. 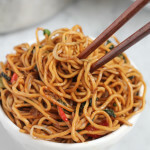 Garrett and Stephanie created a really easy, quick, brilliant and absolutely delicious dish here. My sister, brother-in-law and I gobbled this up. Down to the very last bite. It was amazing. If you can’t find Garrotxa cheese, don’t sweat it. Ask the cheese guy at your grocery store to recommend something close to it. Or maybe try a drunken goat cheese from Spain. 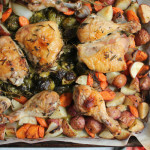 I highly suggest following this recipe exactly. Just try it. It’s delicious. The next time you make it, you can change it up. 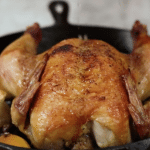 This recipe is extremely easy, satisfying and delicious. Cook the pasta in salted boiling water until al dente. Drain through a colander. Set aside. In a saucepan, combine cheese, milk, crème fraîche, and butter. Cook over medium-low heat until cheese is mostly melted and you have a creamy sauce. To keep the cheese sauce from breaking, remove the sauce from the heat before the cheese is entirely melted. Season with pepper, adding more to taste if you like. 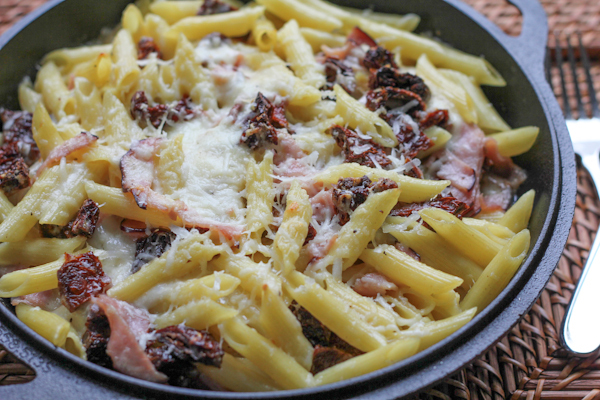 In a shallow buttered casserole dish, toss pasta with sun-dried tomatoes and Serrano ham. Pour the sauce over the pasta, then stir together until combined. 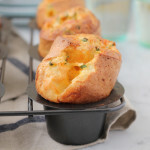 Bake for 15 to 20 minutes, until the top is golden brown and bubbling around the edges. Serve immediately. 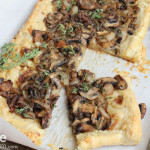 For this amazing RECIPE, head on over to Cooks and Books and Recipes. And to read my review of this cookbook, which everyone should buy immediately, click here. AND if you’re looking to WIN a copy of MELT, check out this giveaway by the authors themselves! One winner will be selected and announced on December 15th, 2013. Cheers! 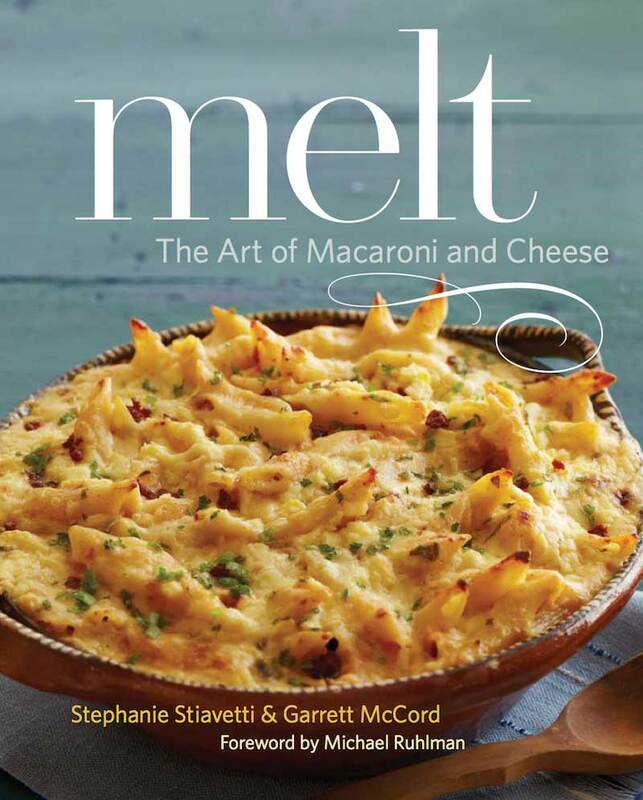 And thanks to publisher Little, Brown, and Company, Cooks and Books and Recipes is giving away a copy of Melt: The Art of Macaroni and Cheese to one lucky Cooks&Books&Recipes reader. Be sure to enter the giveaway HERE. 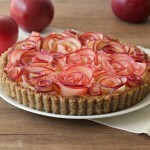 oh my goodness. . you and Garrett have something wonderful here. . everyone is going to love this cookbook. It was an honor to be able to review it. I’m not kidding when I say I am going to be cooking my way through this. So impressed. Seriously love this cookbook. I could eat this for days Alice! 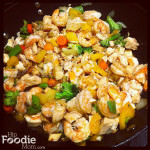 Pasta is one of my staples (along with delivered empanadas these days….lol! 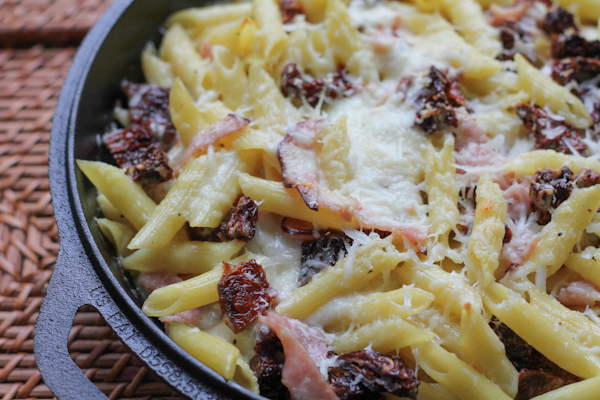 ), and adding goat cheese, ham and sun dried tomatoes is just too many things I love together. 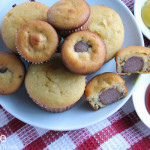 An awesome recipe! And I probably have all the ingredients in my fridge already! I only started to like goat cheese last year, but I now love it! This looks perfect! Anne, enter the giveaway! There are 2! What a cool coincidence! And omghumboldtfogwithgrilledpeachesandorzo you’ve got to be kidding me! Stephanie and Garrett were at Book Larder on Tuesday. They whipped up avocado mac and cheese using Beecher’s Flagship. Amazing! Can’t wait to flip through my copy of Melt and try some recipes soon. 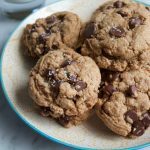 Definitely a delicious winner for the whole family! !